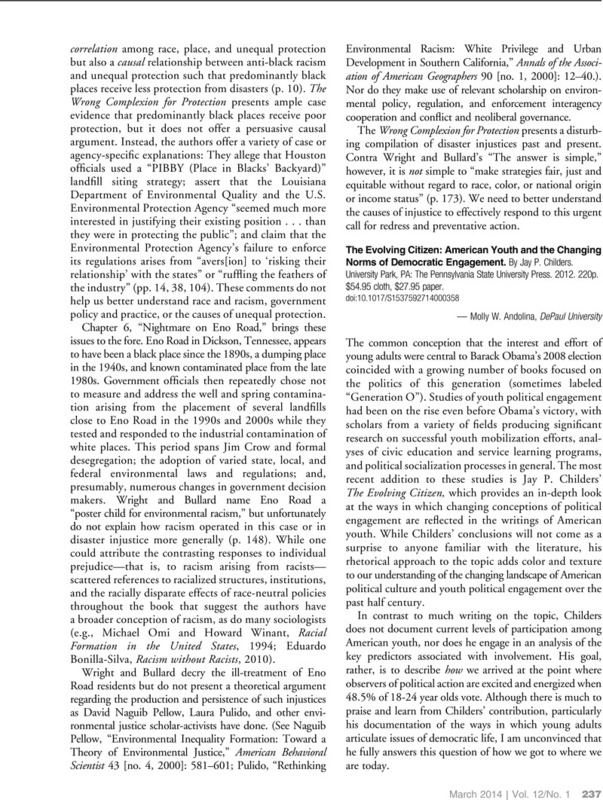 The Evolving Citizen: American Youth and the Changing Norms of Democratic Engagement. By Jay P. Childers. University Park, PA: The Pennsylvania State University Press. 2012. 220p. $54.95 cloth, $27.95 paper.